Drug targets A comprehensive dataset of APIs and corresponding drug targets was assembled by Santos et al. 2017 .
to all available ensembl homology attributes (i.e. the species in the Ensembl Compara database)(Febuary 2017). 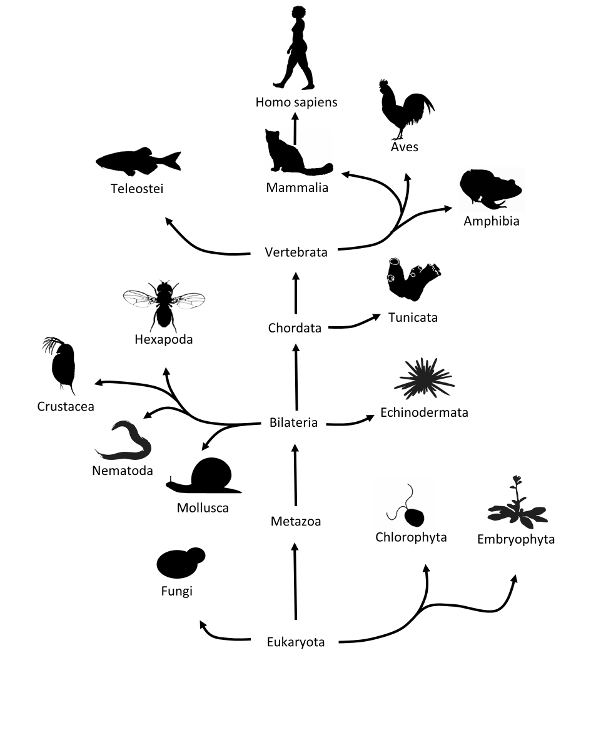 over EggNOGs taxonomic levels from closest to Homo sapiens (Hominidae NOG) to furthest (Eukaryotes NOG). 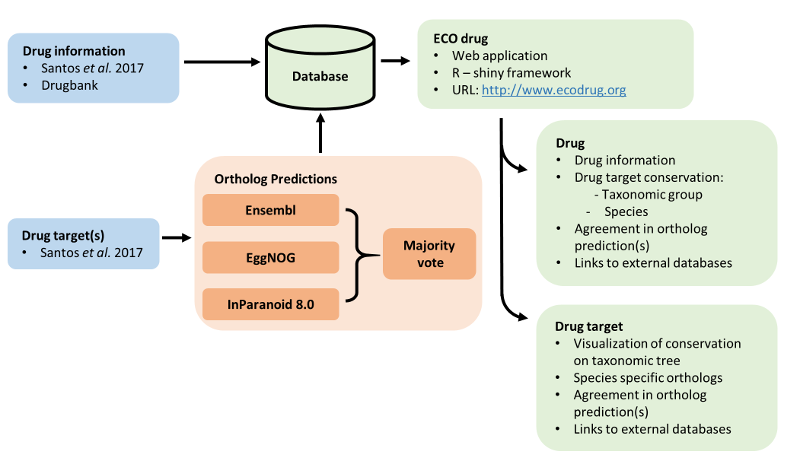 Ortholog predictions from Ensembl, EggNOG and InParanoid each represented a different set of species. indicates presence of an ortholog if at least one database predicts an ortholog. written in the R-shiny framework. Hersey A, Oprea TI et al . : A comprehensive map of molecular drug targets. Nat Rev Drug Discov 2017, 16(1):19-34.
an overview of their targets and conservation of those targets can be retrieved. be found by typing in their name in the field or by selecting it from the alfabetic list. Having selected a drug, the main panel displays information on the selected drug. At the top you will find generic information on the drug, as derived from DrugBank . Following the description of the drug, an overview of target conservation is shown. described in the method section on this page. Depending on the chosen display table one of two tables is shown. for 'only shared species for phyla' is checked or not. Every drug target has a button with its UniProt ID that leads to its corresponding Drug Target page. A download button is present to download the displayed table to a .csv file. Available identifiers are: HGNC, Ensembl or UniProt identifiers. databases. Below the links there is a list of drugs that are associated with the selected drug target. The buttons direct the user to the corresponding drug page. Following the general target information is a table that contains ortholog predictions. individual prediction methods (EggNOG, Ensembl and InParanoid). for the individual databases identifiers (+ links) are provided. The table allows sorting based on the column names and has an associated search function.